The inner surface of the thoracic wall consisting of ribs, costal cartilages, and intercostal spaces is lined with the costal pleura, where a thin layer of loose areolar tissue called endothoracic fascia attaches it to inner surface of thoracic wall. 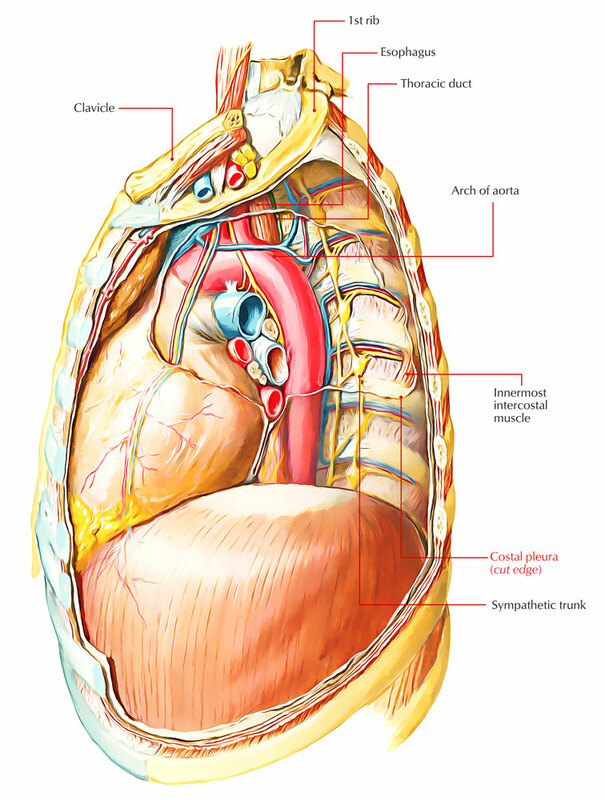 In living beings, endothoracic fascia and thoracic wall are easily separable. The costal pleura is related to the sympathetic chain as well as its branches. The intercostal nerve is located in the middle of the costal pleura as well as the posterior intercostal membrane at the posterior end of the intercostal space.